iPad Pro, one of the best 2017 tablets, packs in a 10.5-inch and 12.9-inch screen alongside with Ultra HD Retina display, larger screen than iPad Air 2. So it's regarded as the closest MacBook Air (13-inch) iPad. Now, 2017 new iPad Pro still has a chance to top the best 2017 tablets chart. With this brand-new iPad Pro in hand, you might be curious about anything infused in this tablet. For me, I'm more interested in the iPad Pro wallpaper. 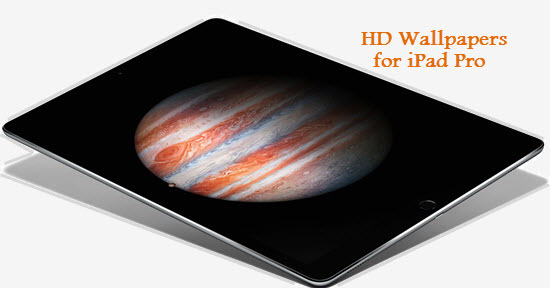 Hard imagine how fantastic it would be when 4K Ultra HD screensaver sparkles the UHD 12.9/10.5 inch iPad Pro? Same as me? Okay, now let's change background picture on 2017 new iPad Pro/iPad Pro/iPad Mini 4 with 4K Ultra HD and 3D live wallpapers. DIY some HD pictures on your Mac computer and wanna sync them to iPad Pro as wallpaper? Use MacX MediaTrans to super fast sync screen savers 1080p/4K UHD to iPad Pro in batch. 100 4K pictures only 8 seconds needed! Plus, you can also sync music, video, ringtones, eBooks, etc. between iPad Pro and computer. Part 1 - How to Change Wallpaper on iPad Pro (No Jailbreak)? 1. Go to the iPad Pro's Settings, which looks like gears turning on your iPad Pro desktop. 2. 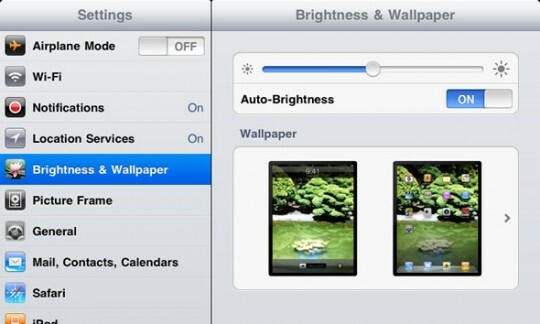 Choose "Brightness & Wallpaper" from the menu on the left side of the settings screen. 3. Tap "Choose a New Wallpaper" to choose from default schemes or a photo you have stored on your 2016 9.7-inch/2015 12.9-inch iPad Pro or iPad mini 4/iPad Air. 4. To set the background, either tap the button labeled "Set Lock Screen" to set the photo for your lock screen, "Set Home Screen" to make the 4K UHD wallpaper appear underneath your app icons or "Set Both" for the picture to be used as the global background for your iPad Pro (iPad mini 4). By the way, if you are absorbed by the YouTube 8K 4K Ultra HD video music and wanna extract the ultra HD picture out of video as your iPad Pro background image, the full-featured MacX Video Converter Pro makes a respectable showing, which can free download any HD videos from YouTube, Dailymotion, Vimeo, Instagram, Vevo, etc. 1000+ video sites and lets you take screenshot as your iPad Pro screensaver with 4K 8K Ultra HD resolution. And it can also transfer your collection of iPad Pro wallpapers into a vivid photo slideshow video with sounding music added. Part 2 - How to Change iPad Pro Screensaver Automatically in iOS 11 (Jailbreaking)? You can manually change HD wallpapers on iPad Pro/iPad Mini 4, but sometimes it's too troublesome for you to alter it especially when you become a busy bee. In such case, applying the automatic screensaver software to automatically reset backgrounds is absolutely a great idea. What is the ideal automatic wallpaper changer for iPad? And how to automatically get new image on iPad Pro? No hurry, please watch below. The first one is called Wallmart jailbreak tweak, which is designed to automatically change your iPhone iPad 4K wallpapers after a set period of time, or after some defined action. To be specific, not only will it set your iPad Pro screen saver after set intervals, but can be configured to reset it every time you lock your iOS device. Better still, it is currently available for free from the BigBoss repo in Cydia. So, if you plan to automatically get new one, jailbreak your iPad and then free download Wallmart as soon as possible. 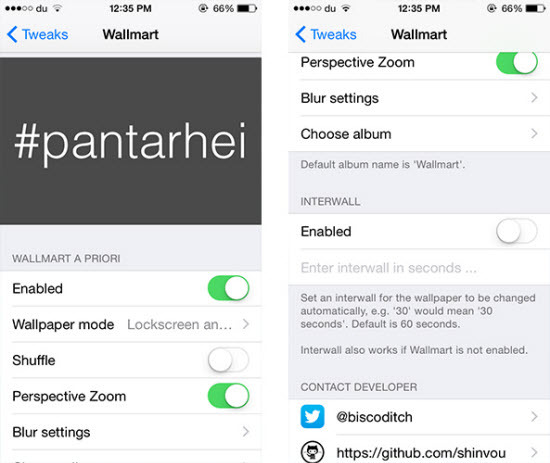 Another app is the world-famous Wallpaper Cyclr, a new Cydia tweak by Brian Cooper. See, you can choose the tags you're interested in, like Nature, Places, Animals, Music, Movies, etc., and then the tweak embarks on searching tumblr for HD pictures based on these tags. Followed by how often you want the iPad Pro backgrounds to be cycled, 5 mins, 10 mins, or half an hour, the tweak will organize the wallpapers and force-change the wallpapers as your schedule. Differently, this iPad Pro automatic changer is a shareware, price at $0.99 on BigBoss. How to Automatically Set Wallpapers on iPad Pro (Jaillbreaking)? Here I take Wallmart jailbreak tweak for instance to show the automatic wallpaper change on iPad Pro. 1. Free download and install this app on iPad Pro. 2. Find the necessary configurations in Wallmart section (another section called Interwall). Here "Perspective Zoom", "Blur Settings" are available for you to activate or not. And you are also allowed to choose the wallpaper mode which can be either Lock screen, Home screen or both. 3. Prepare the HD pictures you like to change for iPad Pro photo in a single album in the stock Photos app and then choose it from the tweak’s preferences pane. 4. By default, the wallpapers reset after you unlock your iPad Pro, but you are also able to set timed interval (seconds) from the Interwall section and enter the period of time after which the tweak should reset backgrounds. Note: Wallmart has to change iPad Pro wallpapers automatically after every unlock or time interval, which would result in a big boost in battery consumption. If you do not care about battery life too much, head to BigBoss to get this free app downloaded. Full iOS 10 background photos guide here will show you how to download iOS 10 stock screensavers for iPhone 7/6s/se, iPad, Android, change and download HD wallpapers for iOS 10 and solve iOS 10 live pictures not working problem. Download 4K UHD dynamic animated iPhone 7/6S/6S Plus background pictures for iOS 10 to customize iPhone 7/6S background pictures. Guide on 4K UHD/HD 1080p live wallpapers download and change for iPhone 7/6/6 Plus/5S/C/5, iPads and other iOS 10/9 devices will help. 2017 New 10.5-inch iPad Pro vs iPad Air 2: Which iPad Suits You Better? 2017 iPad Pro or iPad Air 2? This is a crucial battle between iPad Pro vs iPad Air 2. After I compare iPad Pro with iPad Air 2 side by side, you might have a clear idea about which Apple tablet is your cup of tea. 2) There is no technical support or free update with the giveaway license.